A Keeper of the Wild funded by World Land Trust (WLT) is assisting with a programme to release six Great Green Macaws into the wild in the dry forest of Ecuador. Armando Manzaba Saltos works as a ranger for Fundación Pro-Bosque in Cerro Blanco Protected Forest, near Guayaquil in Ecuador. His duties include caring for six young Great Green Macaws (Ara Ambiguus) that are soon to be released into the forest. 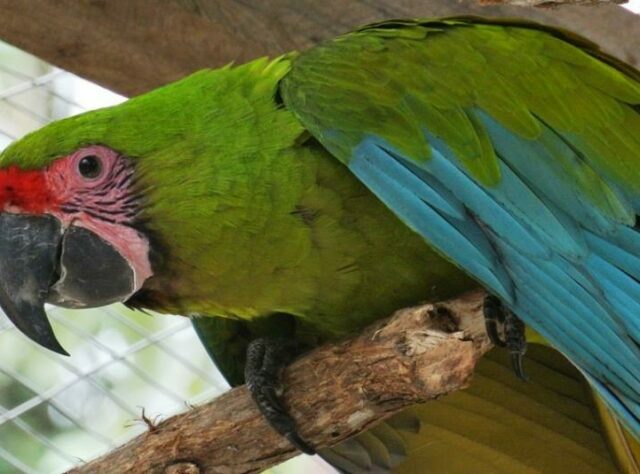 Pro-Bosque is preparing the birds for introduction to the wild in partnership with the Fundación Rescate Jambeli, which has successfully bred the macaws in captivity. Eric Horstman, Pro-Bosque’s Chief Executive, joined WLT’s 25th Anniversary Partners Symposium in London in May 2014. During the symposium he described the introduction programme and its progress towards a release later in the year. Great Green Macaws are listed by IUCN as Critically Endangered in Ecuador, and there are fewer than a dozen of them remaining in Cerro Blanco Protected Forest. Eric has been a champion of the Guayaquil Great Green Macaws ever since he first visited Cerro Blanco in 1990. While exploring the dry forest on foot with a local guide, Eric chanced upon a pair of Great Green Macaws. Blessed by the sighting, Eric recommended that the Great Green Macaw be the reserve’s flagship species. Since then Pro-Bosque has concentrated on guarding the nests of the small population of Great Green Macaws in the reserve and supporting the reintroduction programme. Earlier in 2014 a group of students created a video about the Great Green Macaw release. 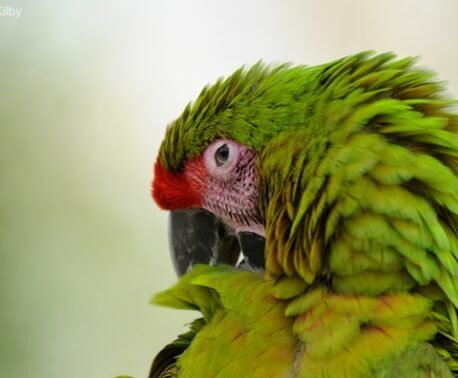 In north west Ecuador, Fundación Jocotoco is also prioritising the conservation of the Great Green Macaw in Río Canandé Reserve, which is supported by WLT. Jocotoco is another of WLT’s partners in Ecuador and the foundation’s conservation efforts include installing artificial bird nests for the macaws in Guayacán trees. 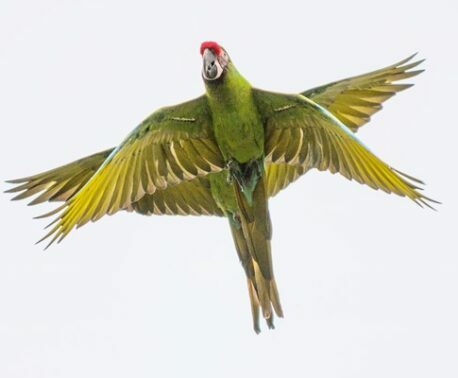 In a positive development in 2013, a flock of 36 Great Green Macaws were recorded flying over the forest canopy of Río Canandé. However, with deforestation outside the reserve putting further pressure on the macaw’s habitat, there is widespread recognition that more can and must be done to protect this endangered species in Ecuador. WLT supports conservation efforts to protect the Great Green Macaw in Ecuador with funding for wildlife rangers in Cerro Blanco and in Jocotoco reserves. You can support efforts to preserve the Great Green Macaws of Ecuador with a donation to Keepers of the Wild.